Welcome to Jeremy Wallach’s website. An anthropologist specializing in Southeast Asian popular musics, Jeremy is a professor in the Department of Popular Culture at Bowling Green State University in Ohio. His research interests include music and technology, globalization, cultural theory, and semiotics. 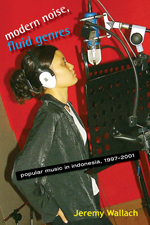 He is the author of several articles on music-related topics and of the book Modern Noise, Fluid Genres: Popular Music in Indonesia, 1997-2001. 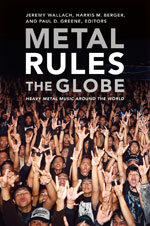 Dr. Wallach is also co-editor of Metal Rules the Globe: Heavy Metal Music around the World, a collection of scholarly essays on metal scenes in fifteen countries.